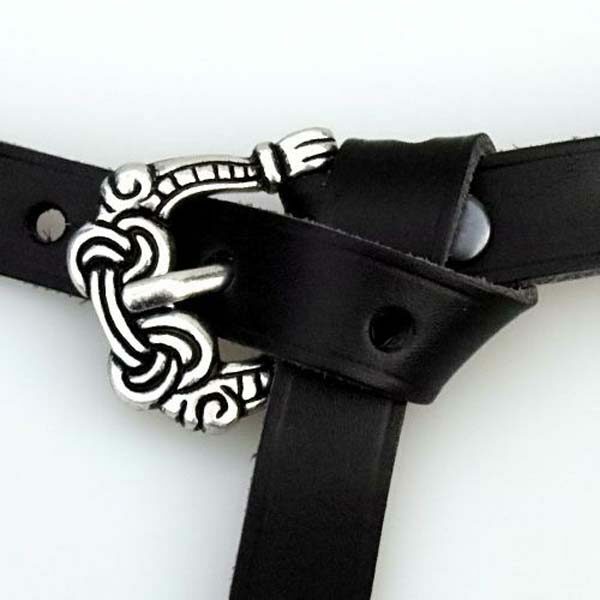 Viking larp leather Belt 1.5cm with solid cast strap end, buckles & decorative fittings. 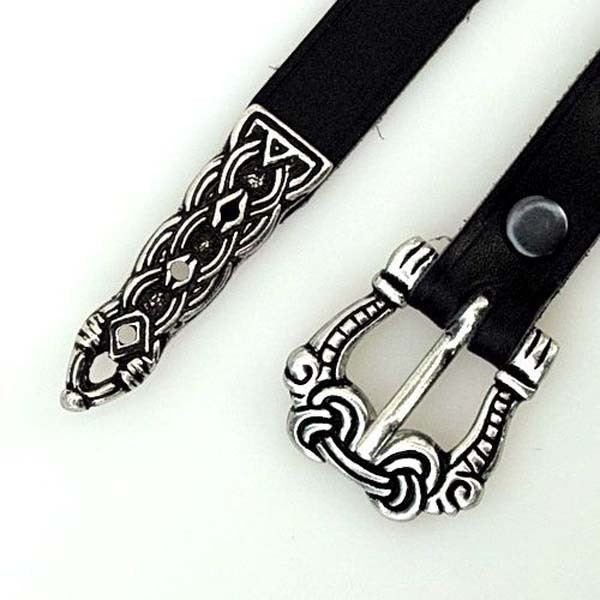 This?Viking larp Belt measures 1.5cm in width and is based on a?Norwegian Borre-style find, from one of the seven great art styles of the Viking era. It is 165cm (65 inches) long and will fit a waist from 92 to 107cm (36-42 inches) perfectly. 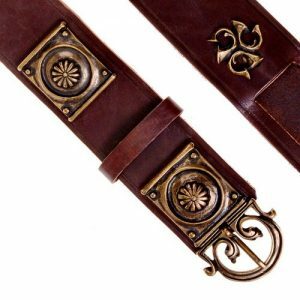 Two lines along the belt edges further underline the elegant shape of this narrow Viking belt.This leather belt is 100% suitable for use for the following: LARP Costume, SCA Costume, Cosplay Costume, Stage & Film Costume. It is of a quality and durability that if maintained correctly will last for many years. The Borrestil is also referred to as the “Greiftierstil” and is a style epoch of viking-temporal art, which is widely used from the 9th to the 10th century. The Borrestil was named after Borre in the Norwegian commune of Horten, on the west bank of the Oslofjord. 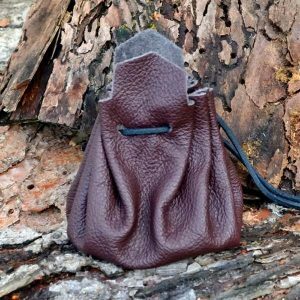 Particularly characteristic of the borrestile are its animal and nodal ornaments, which are found on numerous jewelery items of the Viking Age. The Borrestil belongs to the earlier of the seven great Viking art styles and was replaced by the Jelling style in the course of the 10th century. 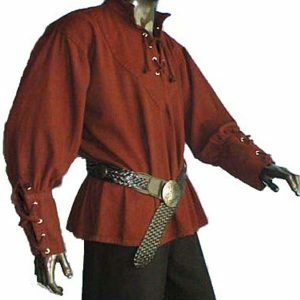 ?This leather belt is 100% suitable for use for the following: LARP Costume, SCA Costume, Cosplay Costume, Stage & Film Costume. It is of a quality and durability that if maintained correctly will last for many years.